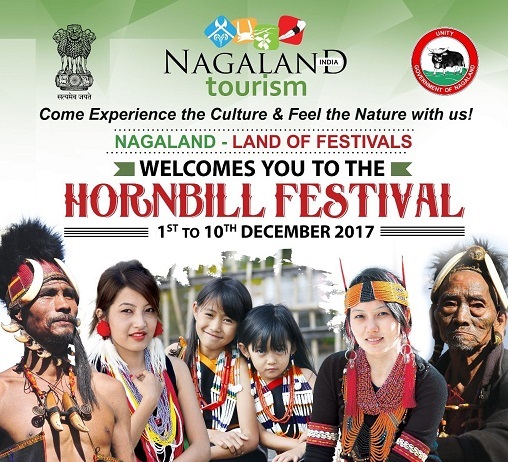 The colourful dances of the Northeastern states enthralled thousands of spectators on the second day of the ongoing Hornbill festival in Kohima on Saturday. Dance troupe from Arunachal Pradesh performed Buri Nyijir folk dance depicting the stages of jhum cultivation during the Boori Boot festival. With the rhythm of the dance, the dancers pray to the almighty to bless them with bumper harvesting, prosperous life, good health etc. Assam dance troupe performed Moran Bihu, a type of Bihu performed by agricultural communities. The troupe danced in a circle beginning with a slower tempo gradually becoming faster. Although the dance is inspired by agricultural operations, the song and the graceful dancing build up an atmosphere of love and romance. Manipuri dancers performed Pong Cholom dance which is the soul of Manipuri dance. This dance is performed during the Holi festival. The troupe also performed Than-ga the martial art of Manipur practiced with swords and spear. Meghalaya cultural troupe performed Shad Suk Mynsiem, the counter part of the Garo harvest festival also known as dance of contentment while the cultural troupe from Mizoram performed Cheraw, a lively and uniquely attractive traditional dance of Mizoram. Kirat Rai community of Sikkim performed Chasum silly and the Tripura cultural troupe performed “Sangria Mog dance. Apart from the Northeastern states, cultural troupe from Madhya Pradesh also performed Karma dance that left the spectators spellbound.